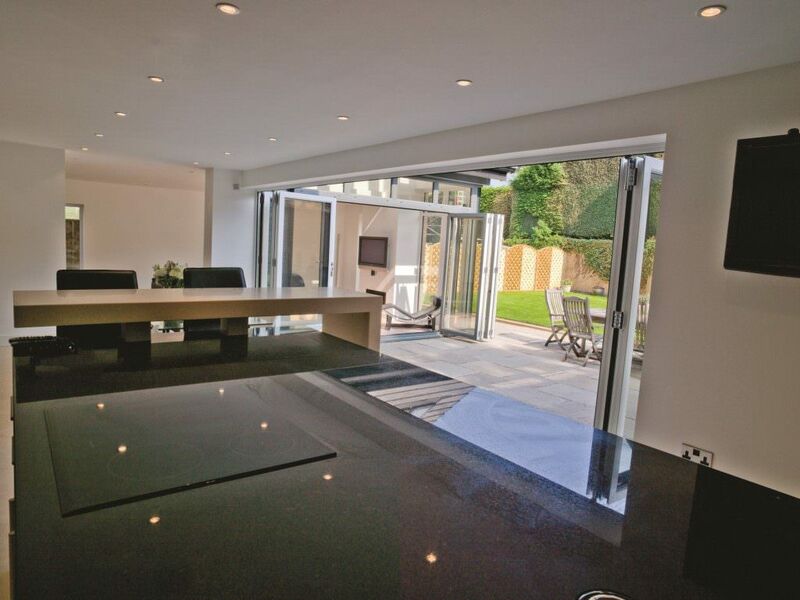 Bi-Fold doors are a beautifully modern, and technically impressive addition to any home. Featuring exceptionally slim frames, large surface areas of glass and an opening design that allows 90% of the aperture to be folded away, Bi-fold doors are exceptional at bringing light and space to any room they are installed in. 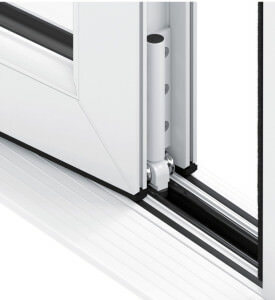 Not only is the inherent design of bi-fold doors outstanding, this is further enhanced by the market leading uPVC profile from Liniar, and the world-class locking systems from Yale. 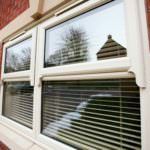 This ensures the highest quality of uPVC door available, and will leave you completely satisfied. We offer our innovative Bi-Fold Doors throughout Peterborough, Cambridge, Northamptonshire, Lincolnshire, Buckinghamshire and Milton Keynes. Bi-fold doors effortlessly combine slim frames with large panes of glass to create a seamless, and beautiful connection to your garden. 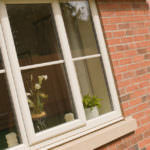 This will enable you to enjoy an addition to your home that will bring light, space and satisfaction. For maximum accessibility, all of our bi-fold doors can be fitted with an ultra-low 24mm threshold, or a wheelchair ramp. This enables complete ease of use for wheelchair and pushchair users, meaning everyone can enjoy your garden. 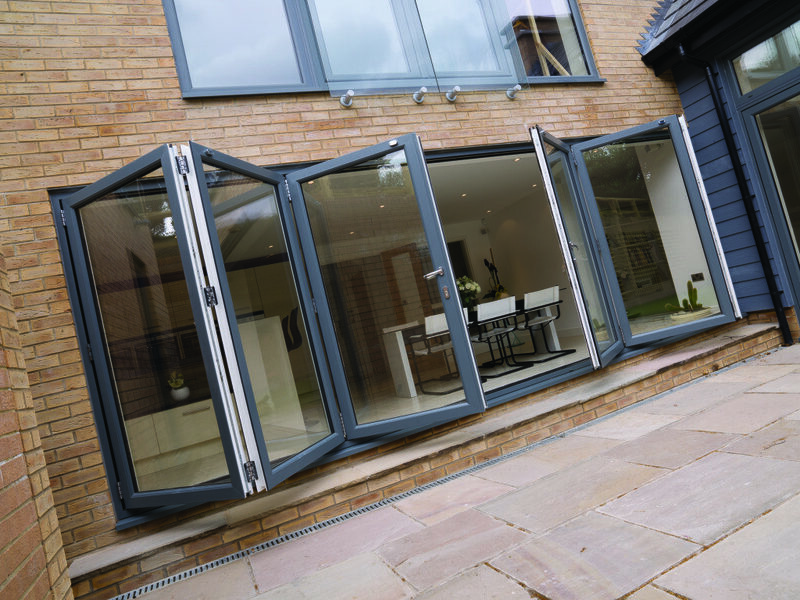 Although bi-fold doors consist of a complex design, it doesn’t mean they compromise on aesthetic. All hardware is concealed beneath an in-board mounted stainless steel track, this ensures a beautiful and complete aesthetic. Thanks to the innovative Liniar profile, all of our bi-fold doors achieve an exceptional WER of A+14. This enables an enhanced level of heat retention for your home, and will enable you to enjoy your heating for longer periods of time. In order to fit in with the needs of your property, we can configure your bi-fold doors to feature a variety of panel numbers, ranging from 2-7. 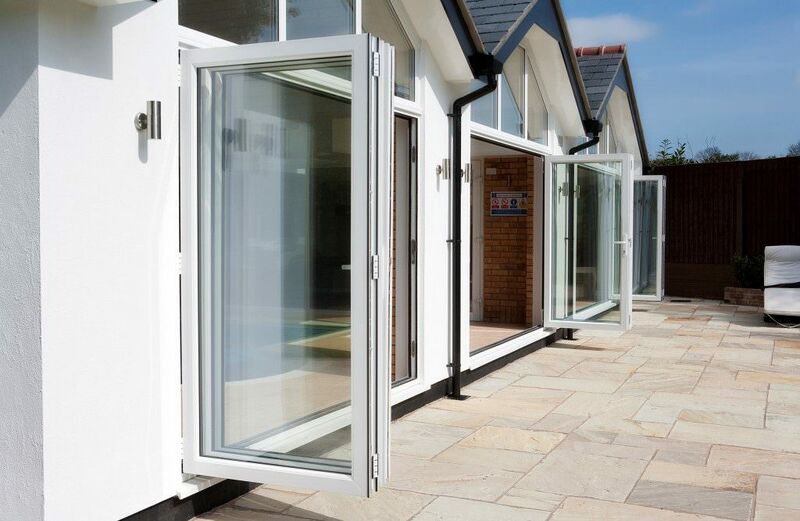 This means that our bi-fold doors are guaranteed to be a perfect fit for your home. 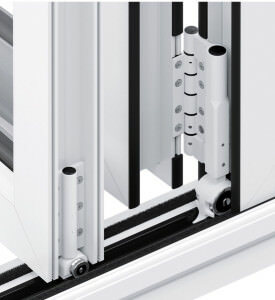 All of our bi-fold doors are fitted with the high security, locking systems from Yale. 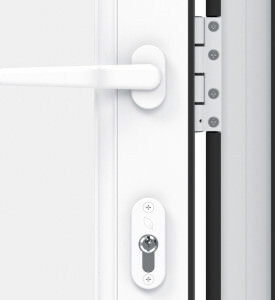 This world class design will guarantee the highest standards of security for your home. This means you can enjoy all the benefits, without any worry. 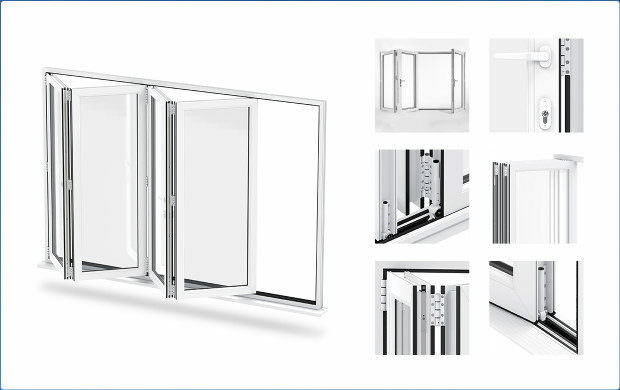 The bi-fold door is incredibly modern in its design, and features a number of panels that fold away neatly and conveniently. 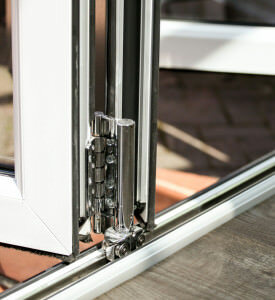 Due to the lack of a fixed mullion, and with 90% of the door aperture folding away upon opening, bi-fold doors leave a completely unobstructed opening in their wake. 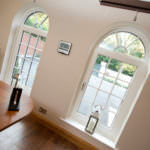 This enables a beautifully airy, spacious and open feel, and will greatly benefit any property they are installed into. 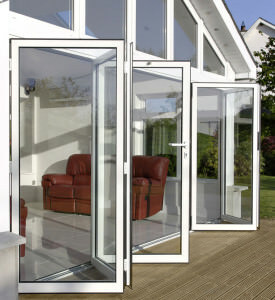 Choose bi-fold doors from WFS Anglia Ltd today, to ensure complete satisfaction. All of our bi-fold doors feature the exceptional, and unbeatable uPVC profile from Liniar. This combines size-optimised chambers, and internal structures to achieve unbeatable standards of thermal efficiency and security. 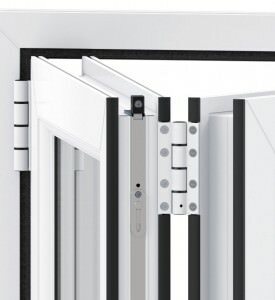 The Liniar profile is the only profile to have been designed in the 21st century, and therefore stands as the most contemporary, and effective choice for any homeowner. Interested in our Bi-fold door prices? Get a free and easy online quote from us today, and benefit from our fantastic, competitive pricing throughout Peterborough, Cambridge, Lincolnshire, Buckinghamshire and Milton Keynes. Alternatively, if you feel you require more information, you can get in touch via our online contact form. A member of our friendly, and helpful team will be on hand to help with any enquiries.